No one has ever looked once at a hyperrealist image. Even a double-take barely suffices. These images are nothing short of breathtaking, and even if it were just a photograph credit is due for composition, colour and its effect on you as a viewer. But that’s sort of the point. It’s not a photograph. It’s an illustration, a drawing. 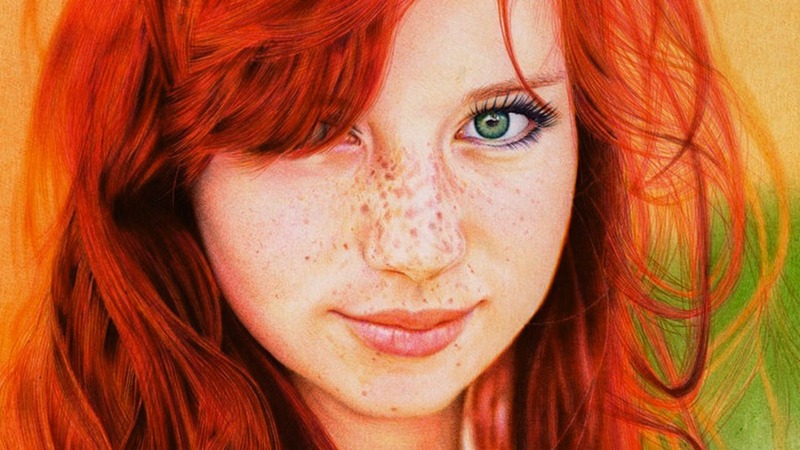 Be it in graphite, coloured pencil, charcoal or ballpoint pen, a hyperrealist illustration is awesome in execution and often impossible to discern from a hi res digital photograph. And that's the point! When photography first asserted itself as a valid genre within the arts it was met with both enthusiasm and derision. Some artists consider it little more than a novel contraption that made portraiture accessible to the working classes, bearing no artistic merit. Others were keen to explore the potential of this new means of expression and everything it signified in a rapidly changing world. Today it’s not even a question. Photography has proven itself to be useful, expressive and influential. As technology has advanced so too has photography's abilities to express and influence. Clearly it has influenced the hyperrealists. Artists such as Miguel Endara, Paul Cadden, Dirk Dzimirsky and Samuel Silva are a handful of talented and awe inspiring artists producing hyperrealist images such as the ones here. It is the densely pixelated modern photographic image that has given them the ability to see and replicate the frozen descent of a droplet of water, or the wetness of blinked eye or even the slightly out-of-focus blur at the edge of face, but it is through their own abilities that we get to appreciate these wonderful expressions. There’s little need to wax lyrical about these images. They speak for themselves. Enjoy. 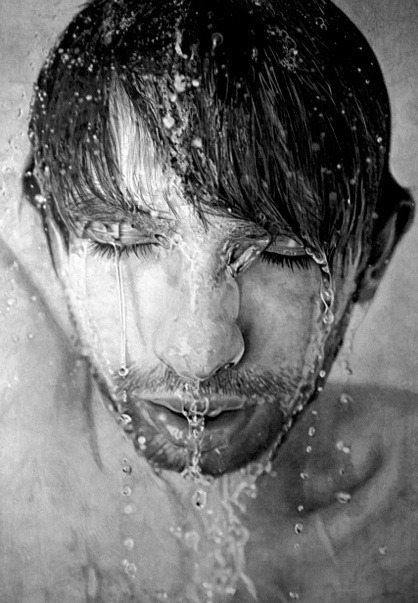 Paul Cadden again, pencil work. Another in ballpoint pen from Samuel Silva. Danny the auctioneer worked with such energy and vigour for four hours straight. It was a pleasure to watch an expert at work. His knowledge of the art world is to be commended. Thank you for yesterday, it was a fabulous auction. It’s great when auctioneers keep it quick and entertaining.